At the beginning of his tenure of office as Chinese President, Xi Jinping officially initiated a campaign to root out corruption within the Chinese Communist Party (CCP). He vowed that the campaign would not stop to apprehend and punish corrupt party members and that the government would go after ‘tigers’ and flies’, that is, powerful elites as well as lower-level bureaucrats. It now seems that the head of the China Insurance Regulatory Commission (CIRC), the insurance regulator, ended up in the cross-hairs during the latest stage of the government's anti-corruption struggle. As the Financial Times recently reported, the Central Commission for Discipline Inspection, the body within the CCP responsible for the fight against graft, is investigating severe disciplinary violations allegedly committed by Xiang Junbo, Chairman of CIRC. The phrase is usually used in official parlance in reference to graft. During a press conference in February, Xiang had vowed that the insurance industry in China will not be turned into a ‘sanctuary of large financial crocodiles’. A number of politically well-connected business tycoons and their companies have been under investigation in the most recent crackdown on corrupt business practices in the Chinese insurance industry. These interventions focused on madcap corporate raids financed through insurers’ high-yielding products. It's a jungle full of big predators out there, so beware or you may get eaten alive! 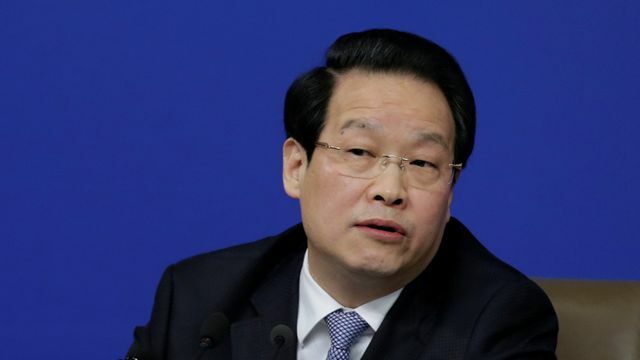 Xiang Junbo, chairman of the China Insurance Regulatory Commission, is “suspected of severe disciplinary violations”, the Central Commission for Discipline Inspection, the party’s anti-corruption organ, said on Sunday. The agency gave no further details.